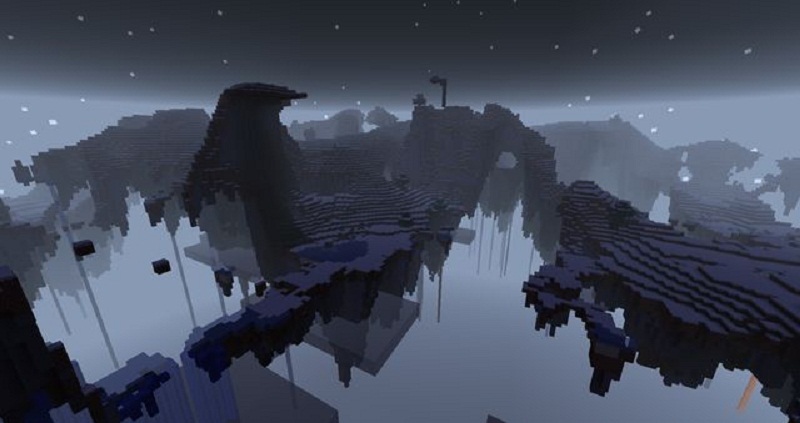 Mystcraft Mod 1.12.2/1.11.2 is a recreation of the lore of the Myst series in Minecraft. It allows for the writing of and travel to new dimensions, called Ages. 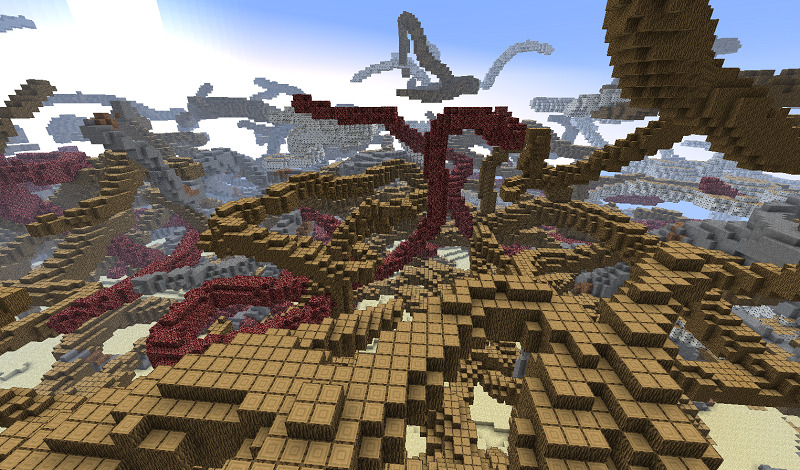 This mod revolves around the idea of these linking books and descriptive books that teleport you to various ages. 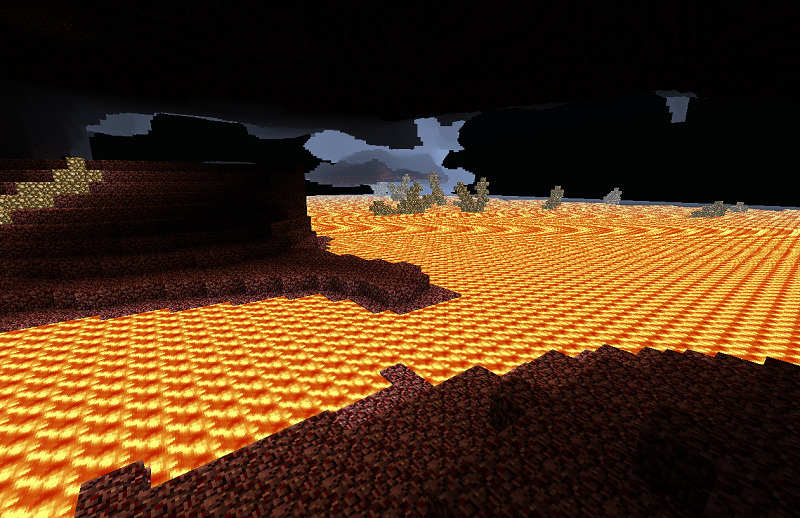 Besides, the Mystcraft Mod has the capability to assign a near unlimited amount of ages so you’ll never get bored. Let’s join with us to discover something new. 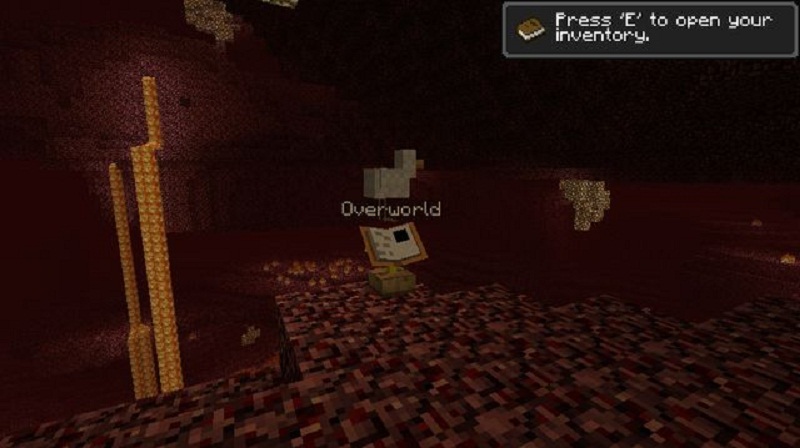 Descriptive Books are used by players to reach brand new Mystcraft ages, and by experienced writers to create entirely new ages. When using a Descriptive Book, players must be aware of the very high possibility of Black Decay in unstable ages. 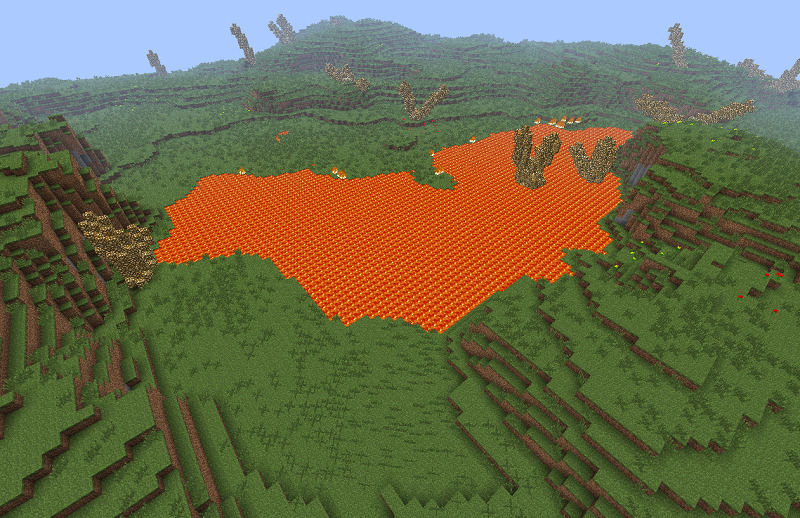 Any form of shifting earth beyond sand or gravel is cause for alarm. Once crafted, a Descriptive Book cannot be changed, and the Symbols that make up that age cannot be retrieved. 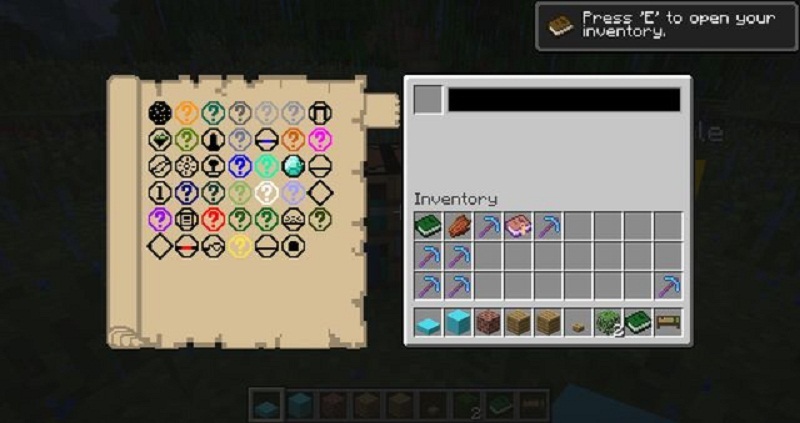 Prior to Mystcraft 0.10.0.00, one could retrieve all of the symbols and copy them into a Notebook. A Linking Book is an essential, yet easily overlooked, tool when writing ages, as without a Linking Book back home, the player can be trapped forever in an age. It is the first thing you should create when starting MystCraft. When used, a Linking Book creates a link to the spot in which it was created, providing players a way back home should they decide to link to a new age, or acting as a convenient shortcut to specific locations in another dimension (or even the same dimension, at additional cost). To Use, right click with the book to open its interface, and then clicking on the black square in book. Again, this will only work if the linking book links to another dimension, unless the book has the Intra Linking aspect. If you were holding the book in your inventory, the book will fall to the ground where you were standing, where it may then be subjected to environmental damage or destruction. To avoid this, the book can be safely stored and accessed from a Bookstand or Lectern. 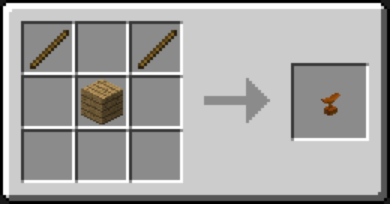 An additional book modifier, Following, exists to keep the book in your inventory rather than dropping it, but this modifier is Only available through trading with villagers or cheats. 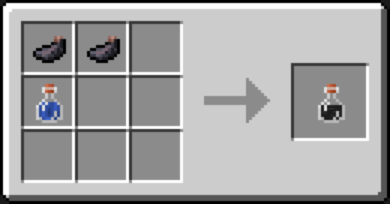 The book will by default have the name of the age that it was created in, which you can see in the item tooltip text or in the interface, just below the book icon. You can change this name in a Writing Desk. Notice that there will then be no other indication of the age that the book links to, aside from actually using the book and observing the age. A Linking Panel is a Mystcraft Page used in the creation of Descriptive Books and Linking Books. The Linking Panel is created in an Ink Mixer, where modifiers are also added prior to the creation of the page that will ultimately affect the behavior of the book. 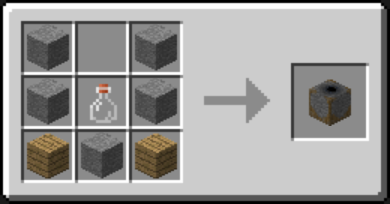 To create the Linking Panel, simply place a piece of paper in the bottom-left slot of an Ink Mixer (must already have ink), and retrieve the Linking Panel from the bottom-right slot. You may then craft your Descriptive Book or Linking Book. The Linking Panel can be used to create Linking Books and Descriptive Books. 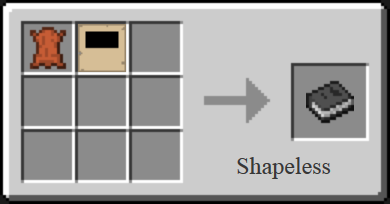 Descriptive Books are created in the Book Binder, while Linking Books are created in a crafting grid with a piece of Leather. A Notebook is a place to store Symbols. It can be used in tandem with a Writing Desk to allow you to write your own Ages. 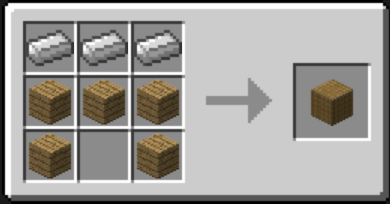 The Book Binder is used to create Mystcraft Descriptive Books. The top-left slot holds leather for the binding of the books. The gray area below is where you place the pages of the book you are working on. You use a Linking Panel and either paper or a blank page (or more) for a random age, or one or more symbol pages to describe the age you are constructing. Doing so will cause the resulting book to show up in the top-right slot. Notebooks can also be emptied into the gray area, or an empty notebook can pick back up the pages from the gray area. You may name the book in the black slot at the very top. Once you have removed the book, it is bound and cannot be interacted with further in the Book Binder. You can still rename it, however, in a Writing Desk. The Book Receptacle is a mechanism that can be used to activate portals made out of Crystal to transport the player between Ages. The Book Receptacle itself requires eight Crystal to make. The Book Receptacle must be placed on an outside (not where the portal would form) face of a valid portal made out of Crystal and then right-clicked with either a Linking Book or a Descriptive Book. 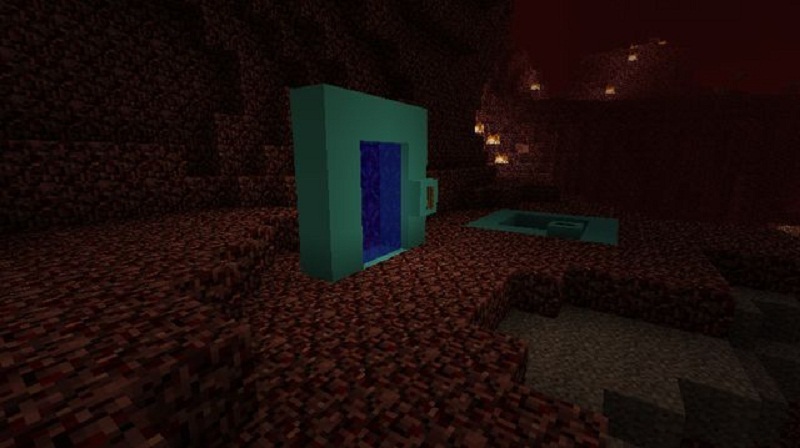 The portal will then activate, similar to a Nether Portal; however, there is no wait time between entering the portal and being transported, unlike a Nether portal. The Book Receptacle and Crystal portals are mostly aesthetic, serving mostly the same function as a Bookstand. 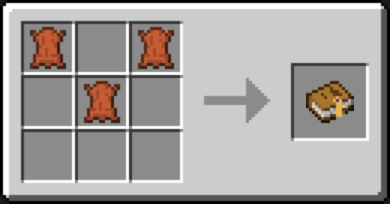 However, the Bookstand cannot transport entities such as Cows, Pigs or Sheep to alternate Mystcraft ages, a function which the Book Receptacle combined with a crystal portal can fulfill. 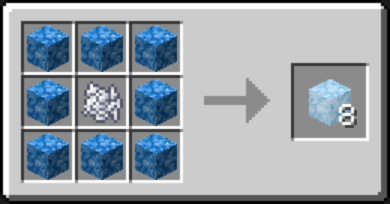 With usage of this block and a portal made of crystal, it is possible to transport animals (including very exotic animals, such as Mooshrooms and mobs from the Twilight Forest) between dimensions, allowing for the usage of a Mystcraft age as a sort of alternate overworld if so desired. 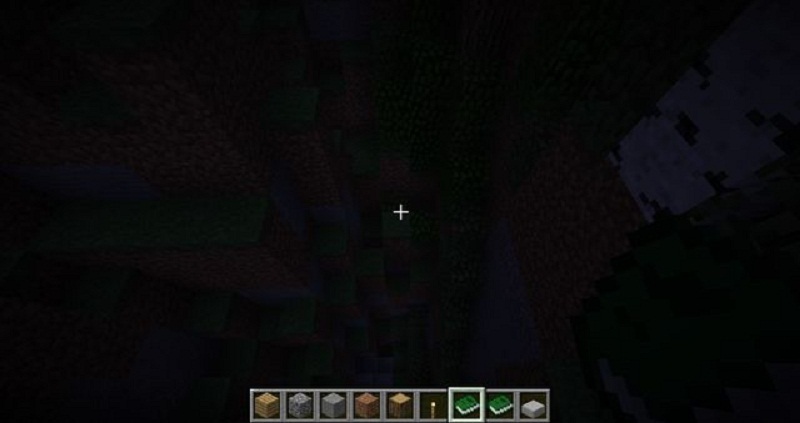 However, there is a catch, sometimes when traveling through a Mystcraft portal, the game crashes. The Bookstand is used to hold Descriptive Books and Linking Books. Right-clicking on the stand while holding a book will place it on the stand. Right-clicking on a book that’s already on the stand will open a GUI which allows teleportation to the book’s Age. While a book is on the stand, it’s immune to any damage it would be receiving if it were simply placed on the ground. This will help prevent accidentally losing your age, or otherwise being trapped within an age. Crystal may be found in ages. 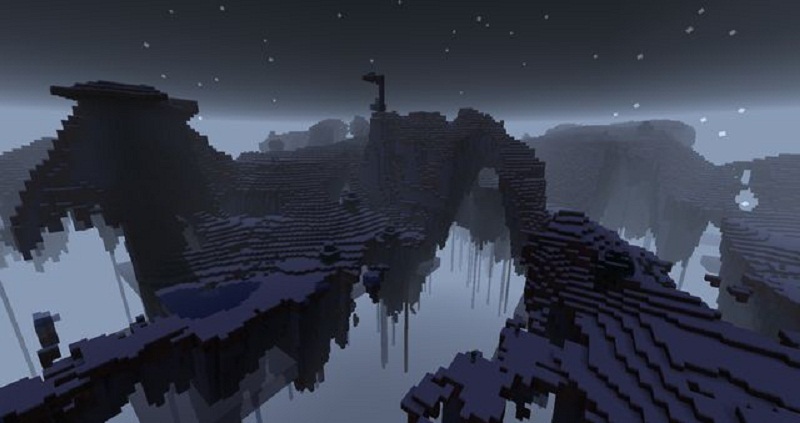 It is used to make Mystcraft portals for quick entry into different ages. The portals do not need to have any specific dimensions, as long as they create some sort of a closed shape. To activate the portal, place a Book Receptacle on one of the crystals, and insert a linking or descriptive book. 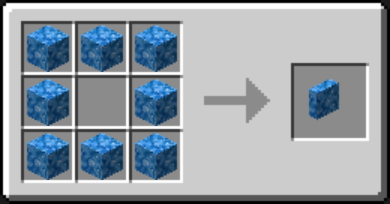 Crystal is only found in ages generated by Descriptive Books which specify that there will be Crystal in the age, which is generated in random formations akin to that of Glowstone’s generation. 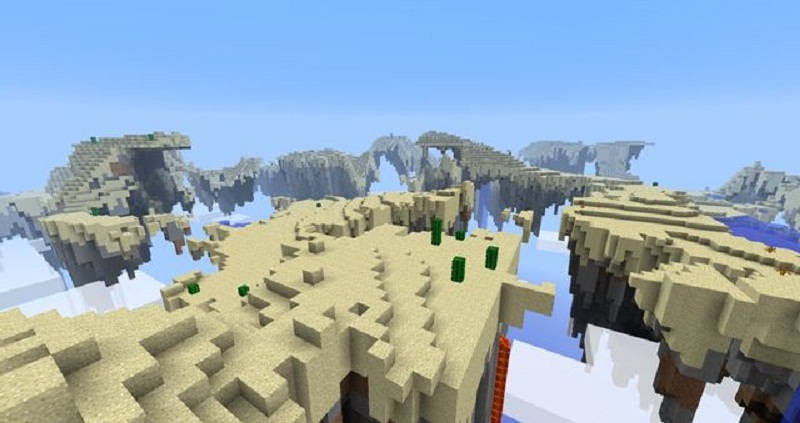 It is easiest to locate Crystal if the world is an End world or a Skylands world, as this will provide more exposed land for Crystal to generate. 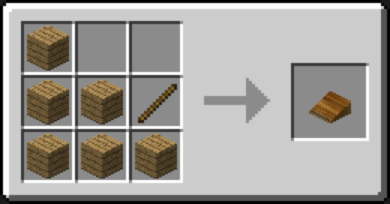 The Ink Mixer is a block added by Mystcraft used to create Linking Panels and ultimately Descriptive Books and Linking Books to link to different Ages. 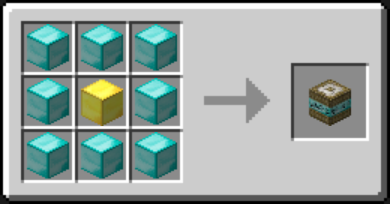 The Ink Mixer also is responsible for determining the Book Modifiers, such as whether the book can link within the same dimension (Intra Linking), by mixing materials with the ink. The Ink Mixer’s interface consists of 4 slots in each of the 4 corners, and a large circle in the center. The left slots are for input, the center green circle is the mixing area, and visually indicates the state of the ink, usually with animated transitioning between specific colors that correlate with modifiers, and the right slots are for output. The Lectern is used to hold Descriptive Books and Linking Books. Right-clicking on the lectern while holding a book will place it on the stand. Right-click on a book on the stand to access the Book’s Linking panel to another Age. While a book is on the lectern, it’s immune to any damage it would be receiving if it were simply placed on the ground. However, rain will still damage the book. This will help reduce the chance of accidentally destroying the book and losing an age. The Lectern is an alternative to Bookstands, and looks best when placed at eye height on top of another block. 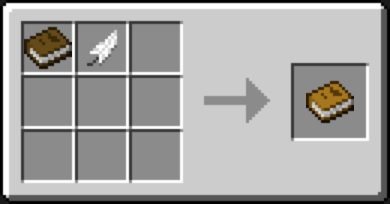 The Link Modifier is a Mystcraft block used to modify Linking Books. There are 5 different options that can be applied by the Link Modifier as well as an option to rename the book. 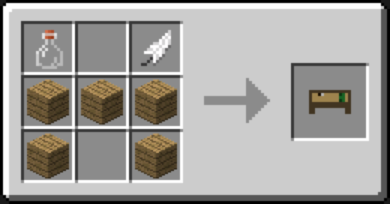 The Writing Desk is part of the Mystcraft mod, and is used to rename Ages, write new Ages, and record Age Symbols in a Notebook. When placed, the Writing Desk will occupy 2 blocks, and is placed like a bed, despite this resulting in the desk appearing sideways. so for example if you would like the desk to appear flush against a wall, you would need to stand facing parallel to the wall when placing it. 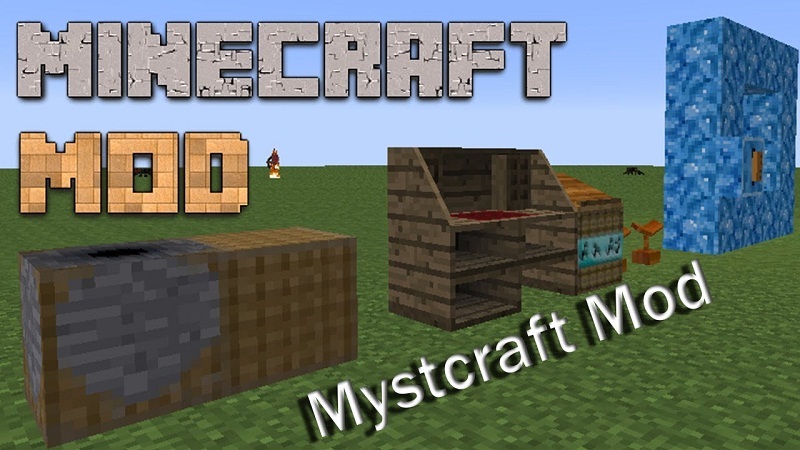 A writing desk can be found in a Mystcraft Archivist’s House in Villages.